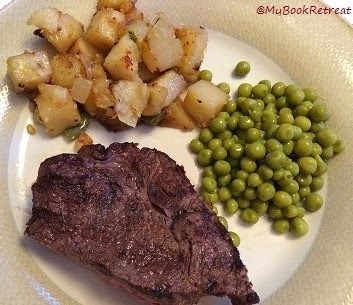 I'm going "Beyond Books" again today to share a delicious recipe that we enjoyed on the weekend. Living in the south, we grill a lot, so we're always looking for new ideas. 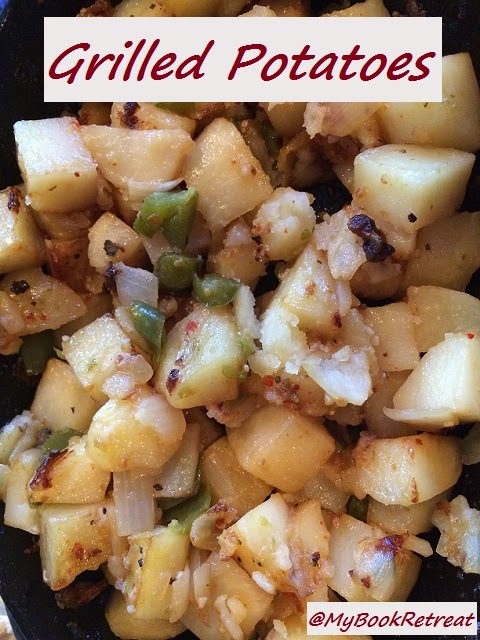 A few years ago, a friend shared a recipe for grilled potatoes and we have been making them ever since! 1. Bring grill up to medium temperature. 2. Cut all of the vegetables into small pieces. 3. Add to pan and pour in the dressing. 6. Place on grill and cook for about 30-40 minutes, stirring occasionally. 7. Stab potato with fork to check for doneness. 8. Keep grilling and stirring once potatoes are soft to add a little crunch to the edges. 6. Goes great with grilled steak, chicken or pork chops. Sounds delicious! I never thought of using the cast iron skillet on the grill. I usually roast potatoes in the oven (cut-up, I mean, not whole), but this sounds like a nice variation. I've never thought to put the cast iron skillet on the grill either. Going to have to try it this summer. Thanks for sharing with Small Victories Sunday Linkup. Pinning to our linkup board and hope you join us again this weekend. It works very well. Definitely try it this summer!